Should you put money into your retirement accounts such as 401(k) plans or invest your money elsewhere? The ideal scenario is for you to have enough passive income coming in that retirements accounts aren’t really as critical. However, most of us aren’t that fortunate. That said, a good balance is going to be the best bet toward a smooth retirement. So, what’s the difference between some of the different retirement vehicles and where should you be putting your money? 401(k) accounts are not stocks or mutual funds. Like all of the retirement accounts we’re going to discuss, 401(k) plans are just a kind of container to hold the different assets like stocks and mutual funds. With each type of container comes different rules on what you can and can’t do. The reason this vehicle is important is because it uses pre-tax dollars for your contributions. Let’s say your paycheck is $1,000 before taxes. Normally, after all taxes are taken out, we’ll say you end up only taking home $700. If you decide to contribute 5% of your pay to your 401(k), that gets taken out of your gross pay (the $1,000). So, you’re basically investing $50 (that’s 5% of $1,000). The cool thing is that now your taxed on the remaining $950 instead of $1,000. Because of that, your take-home pay could still be $700. 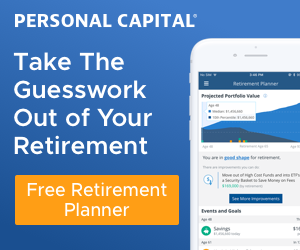 Although this is just a simplified example, the goal is just to make sure you understand that investing in your 401(k) does not necessarily cause you to have less money in your paycheck. For more precise numbers, use a 401(k) take-home calculator (https://goo.gl/T5Zjq3). You may have heard people talking about how great it is that you’re using pre-tax dollars to invest in your 401(k). The reason for this is not because of what I mentioned regarding it not having a dramatic affect on your take-home pay, but rather the thought that when you retire you’ll be in a different tax bracket. The idea is that while you’re working and bringing home the bacon, you’re probably going to be in a higher tax bracket. However, once you retire, in theory, you’ll probably have less income coming in and therefore most likely be in a lower tax bracket. So instead of your $50 being taxed at 25% for example, you might only be taxed on it at 15%. The real value though comes from employer matching. Hopefully the company you are working for provides some type of matching program. If not, this is something you may want to inquire about with your company. It’s basically like free money that can help put you ahead of the eight ball to make up for inflation and help aid in accelerating the growth of your account. Obviously the more you put in early on, the better your chances of growth and compounding to do their work and actually make something of it. So it’s a huge benefit to have your employer help put money into the pot. I like the “free money” aspect of employers that do matching in 401(k) plans (who doesn’t?! ), but I have concerns about the unknown. In other words, how do you know for sure which tax bracket you’re going to be in? It’s possible you can end up paying more in taxes than you would have if it was just taken out from the get-go. Then there’s the psychological aspect. In other words, many of us (including me) will look at what the value is of our 401(k) account says and take it at face value… great, I have $400,000 in there – that should be a good start! What we tend to do is forget about taxes in our brief planning spurts. Really that $400,000 might only be worth only $340,000 or even $300,000 – ouch!! And who can be certain that tax rates won’t change once you are ready to pull your money out? Another con to 401(k) plans are that it’s not easy to get the money if you need it. Sure, there are loans against it (if you’re employer allows it) and certain hardships, but it’s still not easy to do. Granted, the money is for your retirement and really shouldn’t be touched, but $%^ happens and it’s nice to know that in a true emergency, you can get to it if you need to. By law, with certain exceptions, you can’t start withdrawals on your 401(k) until the age of 59½. There are limits to the amounts you can contribute to a 401(k) plan. For the year 2015, the maximum you can contribute is $18,000 (and an additional $6,000 if you’re 50 or older). I’ve been lucky – I’ve been able to put the maximum into my 401(k) for the past few years. Although not my favorite plan, I feel like I need to take advantage of it because of the match I get. A lot of businesses offer something like a $0.50 match for every dollar you put in… up to 6%. So for that first 6%, you’re basically getting another 50% invested for free. After that 6% though you lose that big incentive. Where I’ve been lucky is that my employer basically offers a 35% match with no limit. In other words, for every dollar I put in, they put in another $0.35. Because of that, I make sure to invest the maximum when possible. In Part 2 of this series, I’ll talk about another option you have for retirement investing… Roth IRA accounts. I’ve been doing my cousin’s taxes for years. For the first few years as we was just getting started in his career, I would tell him he needs to start putting money into his 401(k) at work… and every year, he just let it go and didn’t do it. However, after a few years, he finally got around to it. After the first year or so of his 401(k) being active, he brought over his his tax-related paperwork pile (most in envelopes that were still un-opened). In that pile, he had his 401(k) statements. I let him know that we didn’t really need to use that right now for his taxes, but we should take a look at it and see how he was doing. Me: Well, it looks like you have about $2,500 in your 401(k). Cousin: Hmm, not too bad – so how does that work? Once I retire, I’ll get $2,500 every month till I die? Me: No, that’s your total. That’s all you have total once you retire. Although it’s a little funny, it’s not uncommon for a good number of people to just really not understand retirement accounts… or much on finances at all. As a side note, this was years ago and my cousin is much more knowledgeable on the basics of this stuff. I think of my 401k as untouchable until it needs to be rolled over to my IRA. I realized in the past year that I need to explore other investment venues to ensure retirement and or being able to retire early. I’m looking forward to reading part 2. Thanks, Jacq – check out my post on the Roth IRA Conversion Ladder when you get a chance. 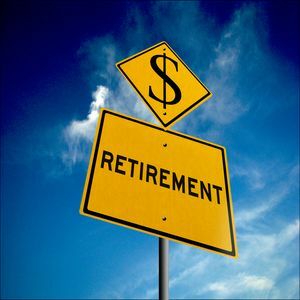 It talks about a way to get to your 401(k) plan earlier without penalty – not something to take lightly, but does allow for a well-planned early retirement.